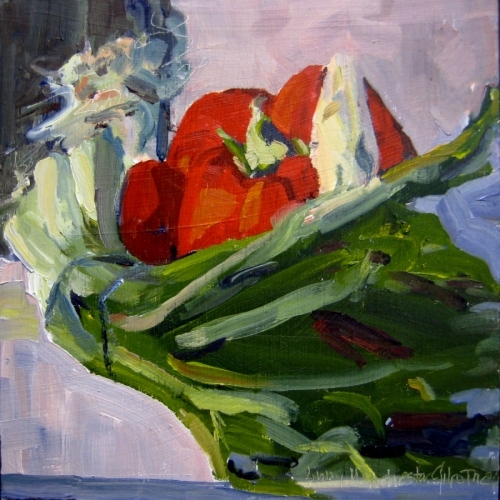 Original colorful contemporary oil painting of fresh vegetables, green, red, white, painted on square panel by Libby Manchester Gilpatric, presented in a hand-made natural floating frame. Contemporary realistic still life painting of ears of corn stacked as if a stone wall in oil on birch panel by Libby Manchester Gilpatric. This painting has been SOLD.